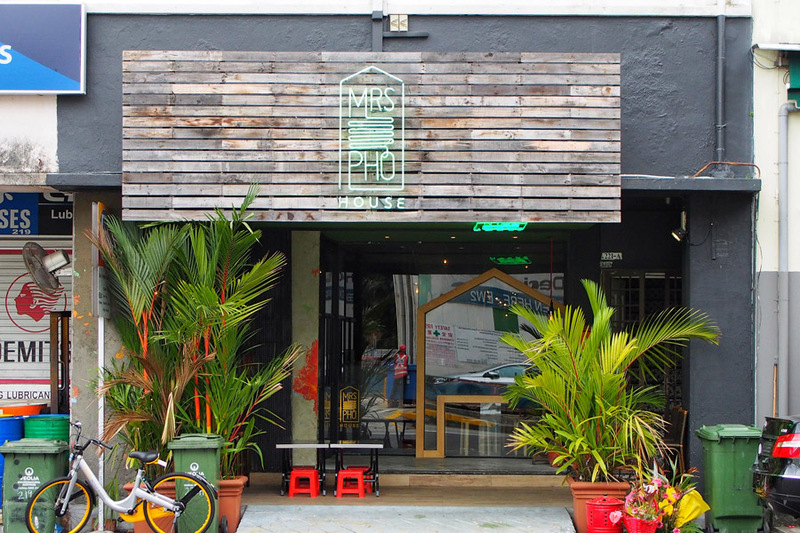 Fans of Vietnamese food would be thrilled to hear about the opening of Mrs Pho House along Rangoon Road, and you can look forward to dishes like Claypot La La and Gong Gong. Not just PHO. Established since 2014, Mrs Pho has been serving their rendition of hearty beef pho at Beach Road, which is a hot favorite among office executives nearby. 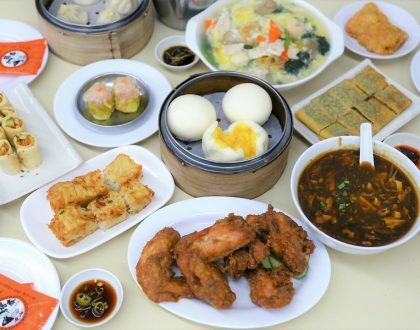 This is despite the long waiting time during lunch hours, due to the limited seating capacity. 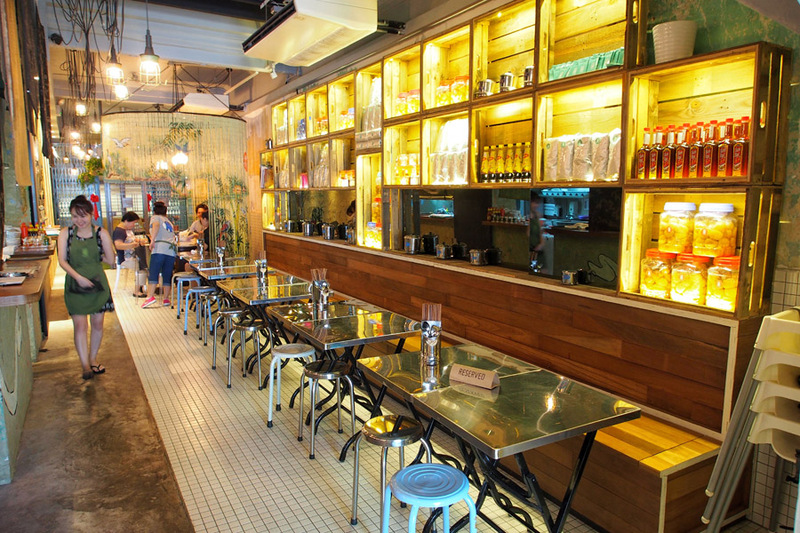 Taking over the location of the defunct Grub Noodle Bar, this ‘house’ is more spacious, and makes it more conducive for bigger group dining. So why Mrs Pho HOUSE? 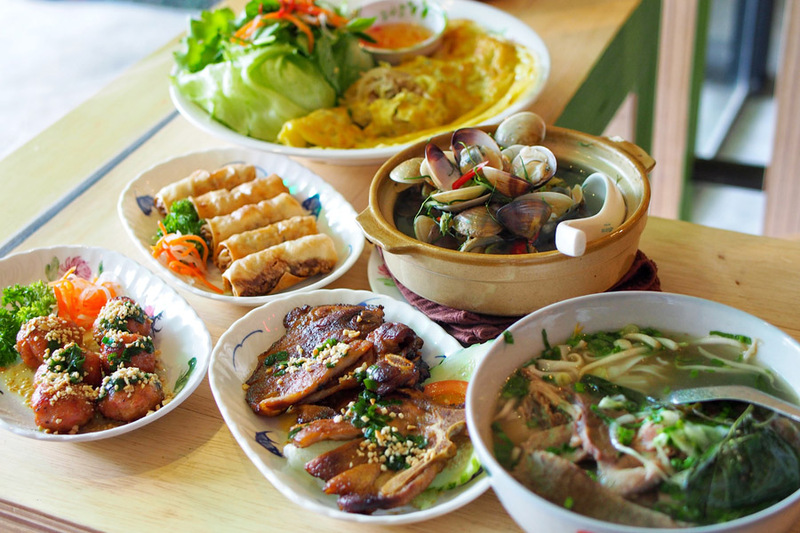 Like inviting you to their house, their staff mentioned that they wanted to provide a comfortable dining environment which serves up various casual home-cook Vietnamese dishes, and not just limited to pho. 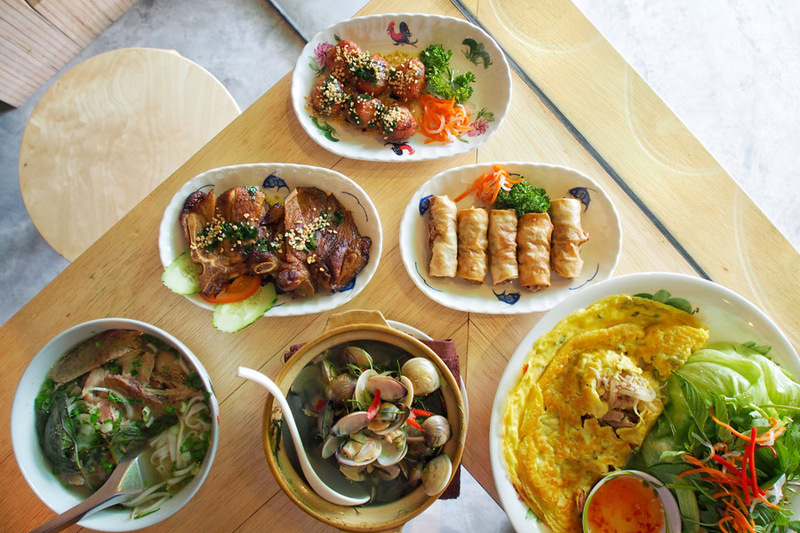 I cannot help but to agree, as many people’s idea of Vietnamese food is limited to just Pho and Bánh mì. 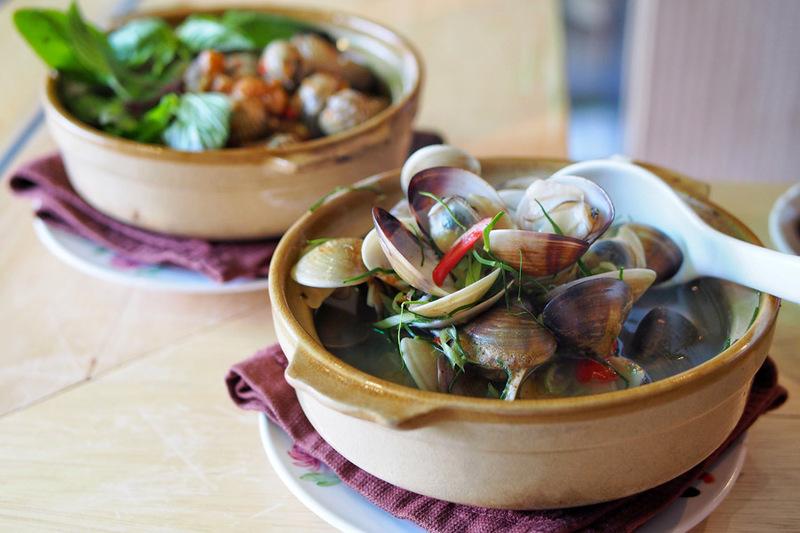 If you are a frequent diner with Mrs Pho, you should be aware of their other signature dish, Mrs Pho Cockles ($10.90) which is stir fried “see-hum” tossed with garlic and pork lard. 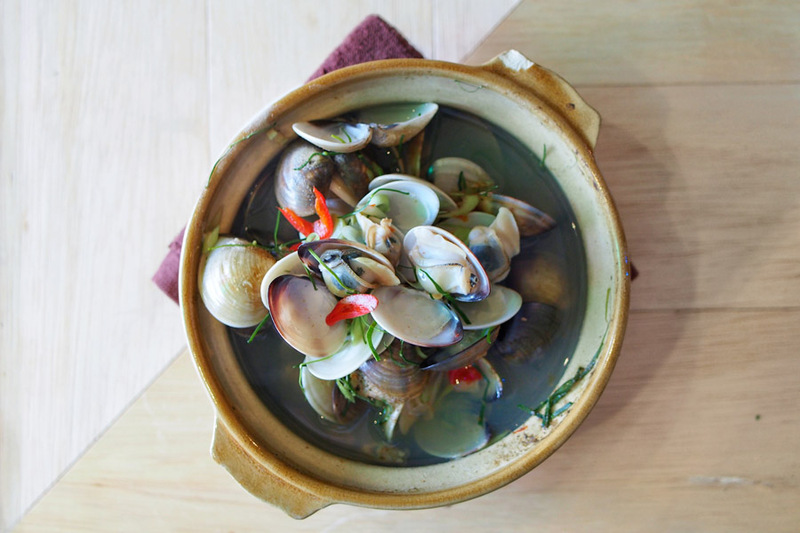 Over here, the cockles are cooked in a clay pot to provide an enhanced smoky fragrance. 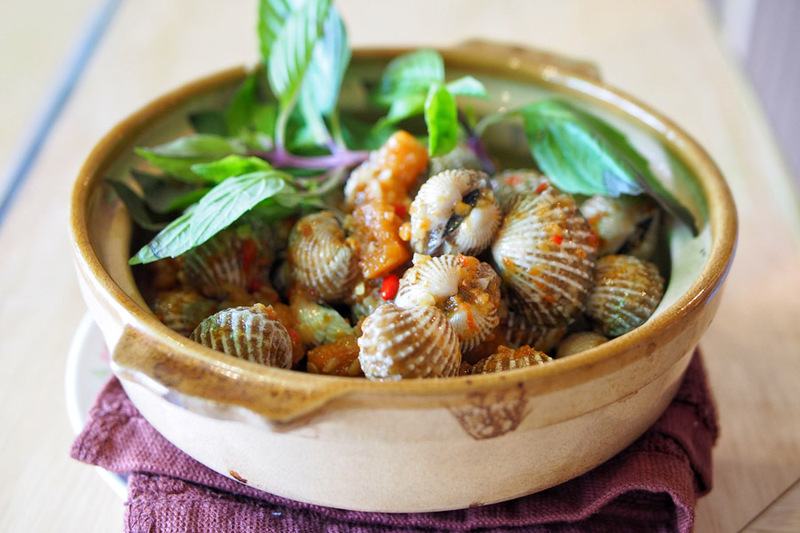 Probably due to popularity of cockles, there is now an extended seafood menu. 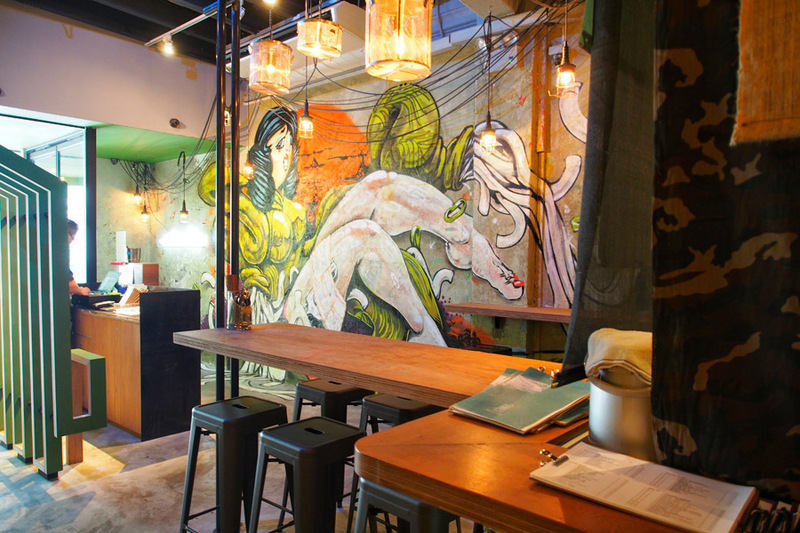 Additions include ‘House’ Crab ($32), Saigon Chili Prawns ($12.90), Long live ‘Gong-Gong’ ($10.90) and Love You Long Time ‘Lala’ ($10.90). 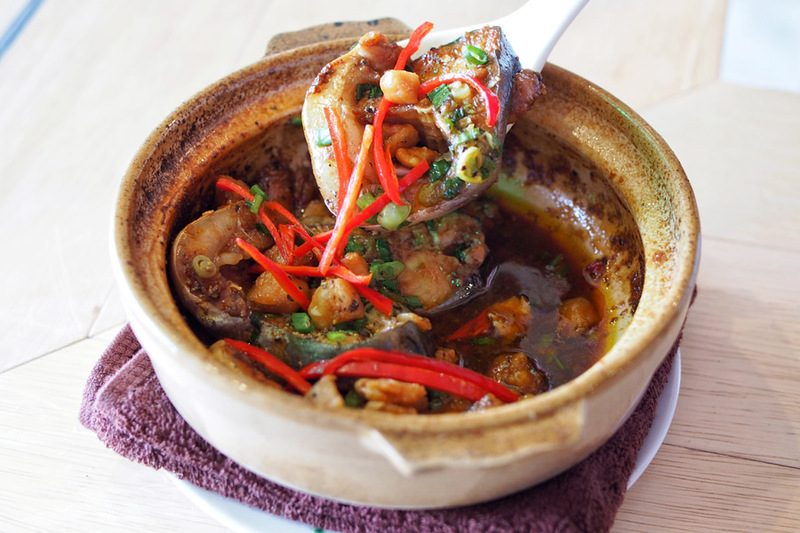 The conch, or commonly known as ‘Lala’, was slowly simmered with lemongrass to give a clear subtle sweet broth. The ‘Lala’ was fresh and tender, but I preferred to drink the “zhup” (sauce) more than eating the flesh of the shellfish. 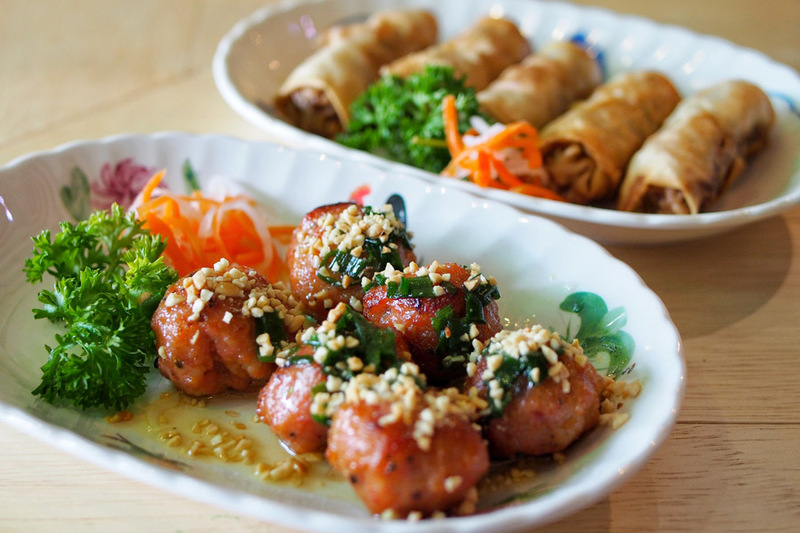 The usual starters from Mrs Pho also made their appearance, such as Spring Roll ($6.90), Grilled Beef ‘La Lot’ ($7.90) and ‘Lucky’ Meatballs ($6.50). 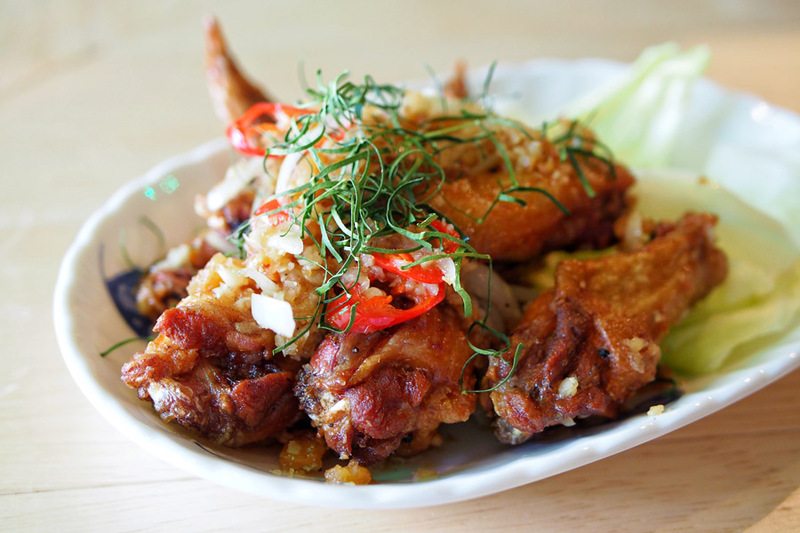 Another dish worth a mention would be the Wingman ($6.90), where fried chicken wings were coated with savory fish sauce and topped with loads of garlic. I could probably kill a vampire after this. 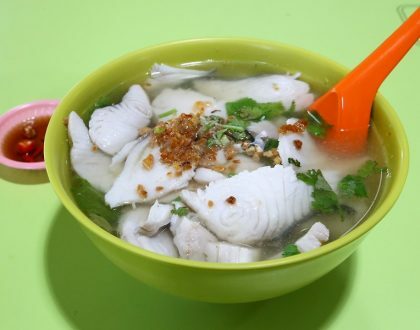 Okay lah, any dish with tons of garlic and pork lard can win me over more easily. This dish was definitely new to me. 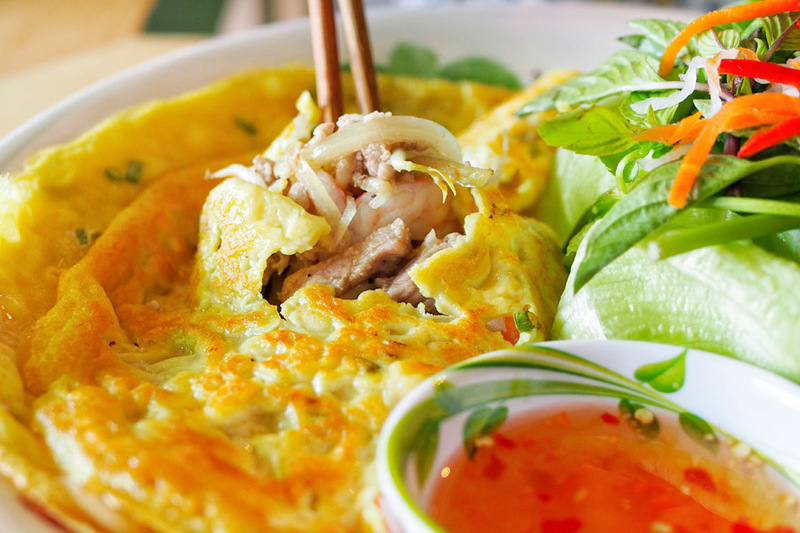 Bánh Xèo ($12.90) is a Vietnamese style crepe served with minced pork, prawn and bean sprouts, eaten together with leafy vegetables and sweet chili sauce. Almost reminded me of Korean BBQ. My first impression? Very refreshing, healthy but lacking in the X-factor. The other main that caught my attention was Cá Kho ($13.90), stewed catfish simmered with soy sauce and stir fried with tons of pork lard. I liked the savory dark sauce which could probably go well with plain rice. While the fish is tender, it had quite a strong muddy taste, a common trait of fresh water fish. The pork lard managed to mask the taste a little. Not sure if changing the type of fish used would improve on the dish. 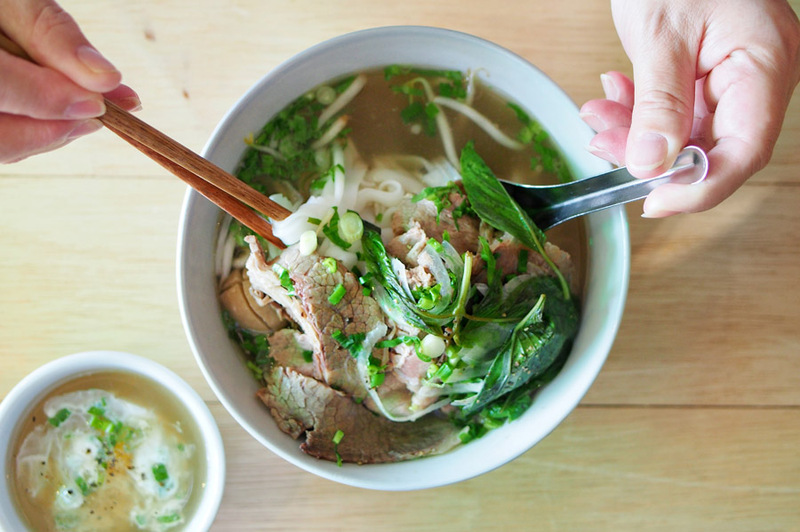 For the not-so-adventurous, rest assured you are also able to satisfy your craving over a bowl of hearty Sliced Beef Pho ($8.90) or Beef Combo Pho ($9.90).